SW BRANDING 2014: New Business Cards, Buckslip, Stationary, and Press Kit Folders. 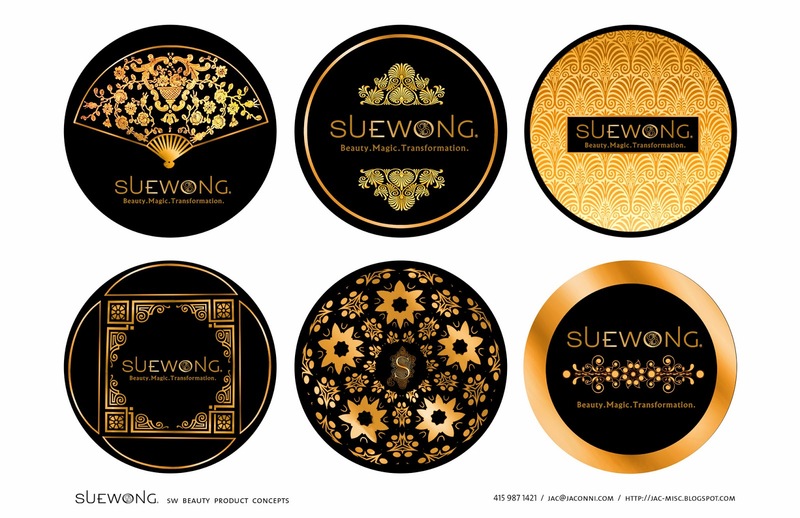 SW BEAUTY PRODUCT CONCEPTS 2014: Keeping the gold foiling on black matte, SW's Asian-Art Deco Fusion fusion prepares to span over possible makeup compacts, body lotions, soaps, and lipsticks. 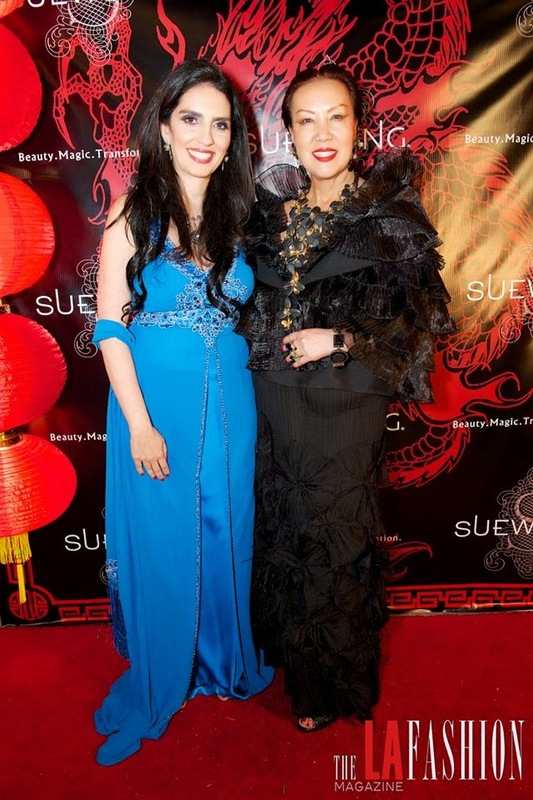 PERFUME BOTTLE: Launching later in 2014, SW will have a perfume and body cream line made in Paris, and then distributed in Europe and here in the United States. I came up with the different color concepts for the bottle, as well as the redesigns for the packaging. 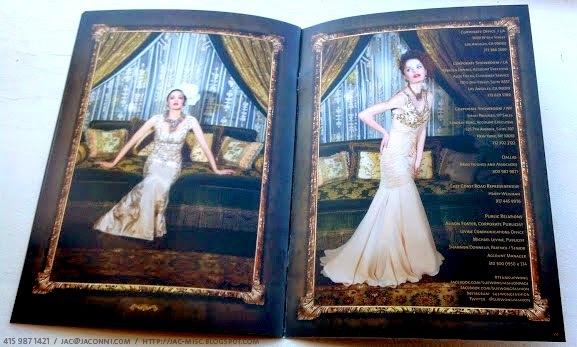 The Middle East is also doing their own advertising, so the images with the models are concepts; the first one with the gold deco border is to be used in a magazine page in the future. Photography by Matt Marut. July 2014 Saudi Arabia Magazine featuring the final version of our perfume ad in Arabic! 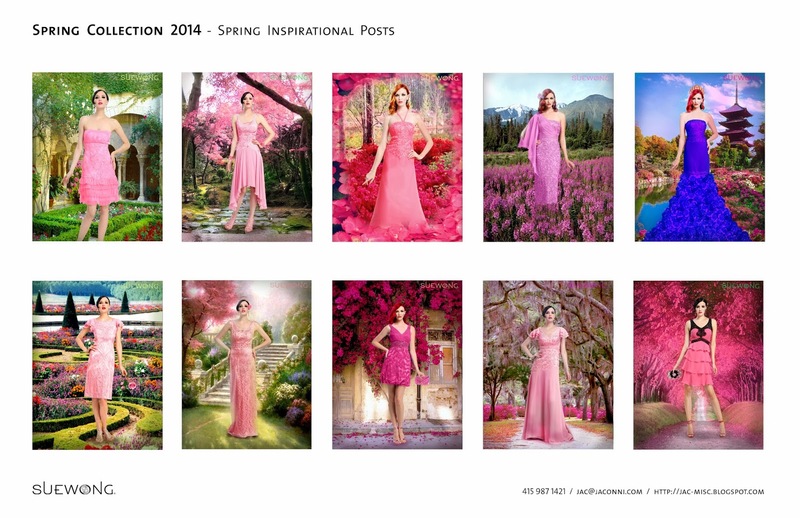 FAIRIES AND SIRENS - SPRING 2015: Graphics for posters, brochures, and programs with photo editing of Collier Landry's photography, as well as the Step and Repeat red carpet background and Evites. 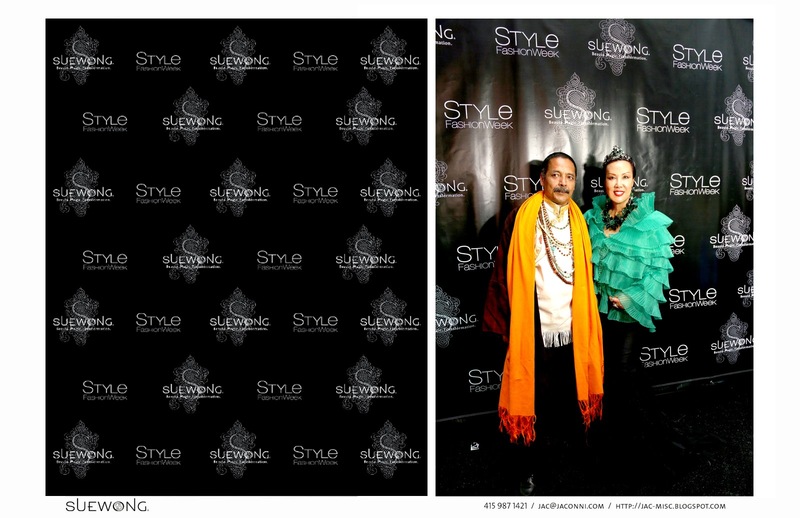 EDWARDIAN ROMANCE - FALL 2014: Before and After edited shots of our latest photoshoot at SW's Historical Hollywood home, The Cedars. Photography by Matt Marut. 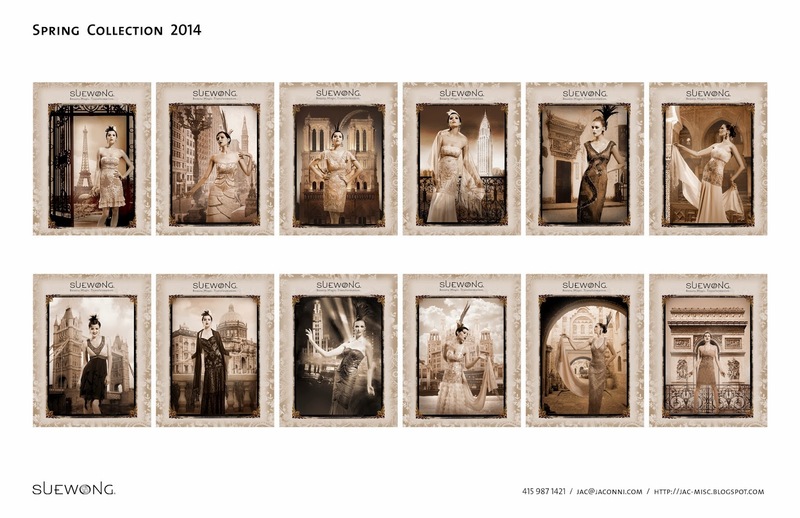 PRINTED BROCHURE: Two models with different gowns and dresses in front of the same location to reflect a different feel of the look of the line for the Fall 2014 season. Moody, rich, and Edwardian. 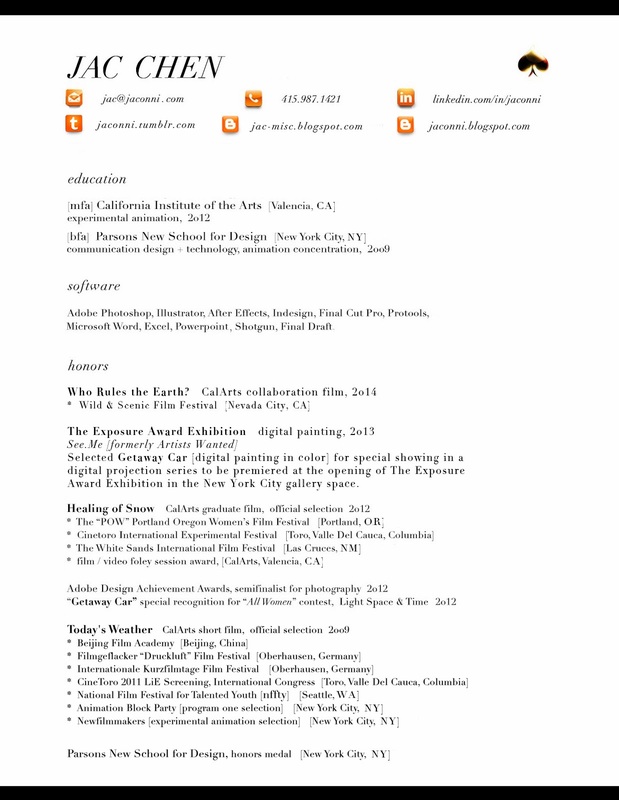 These are just sneak peeks of the cover and a couple of spreads of this 20 page brochure. 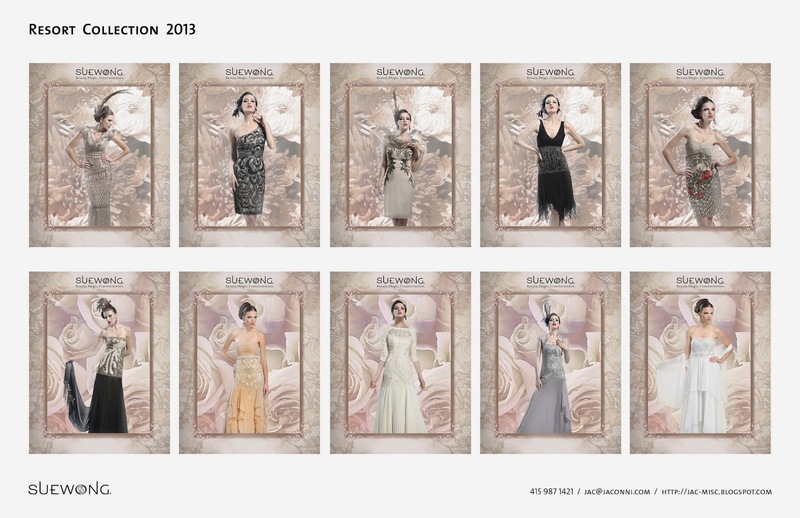 FASHION SHOW PROGRAM: A more saturated version of the photoshoot with text of the models and the style numbers of the gowns and dresses that appeared on the runway. 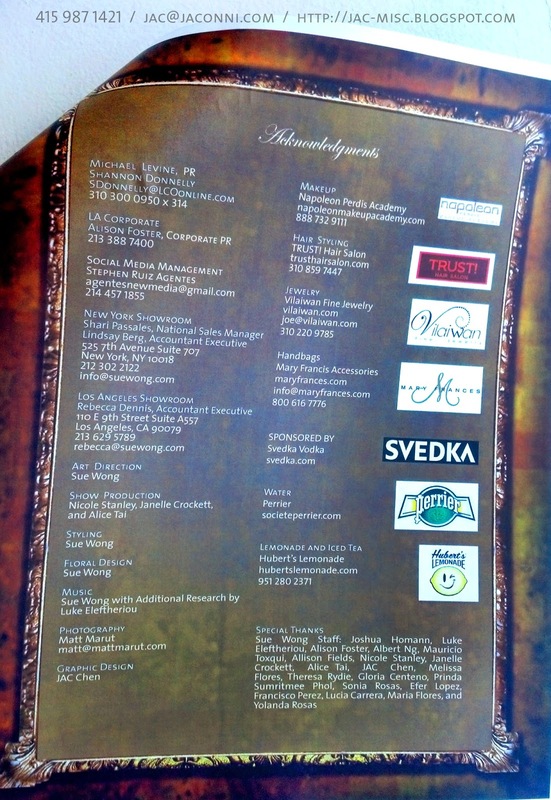 I included a page of the Acknowledgments to showcase those who worked on this event and who our sponsors were. 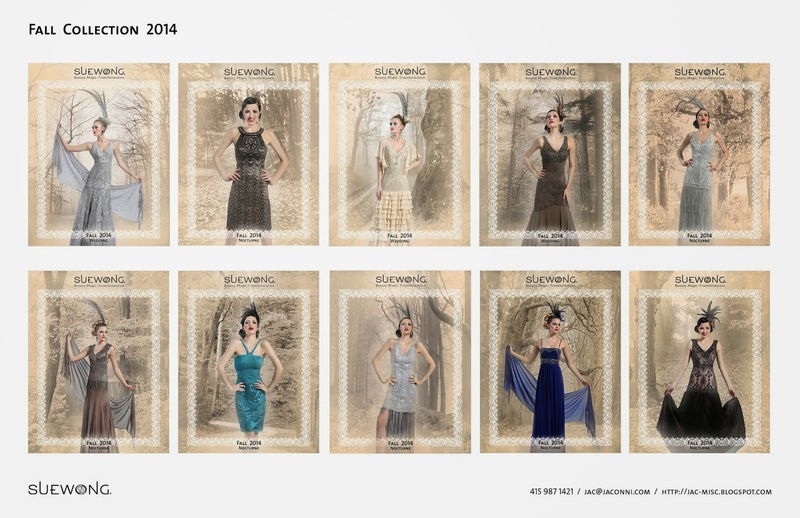 CATALOG EDITS: Lookbooks are done for each season including swatches of the main design of the gown or dress, all associated colors, a brief description of the material, cut, and style of each piece, as well as the price for clients and the SW Showrooms. 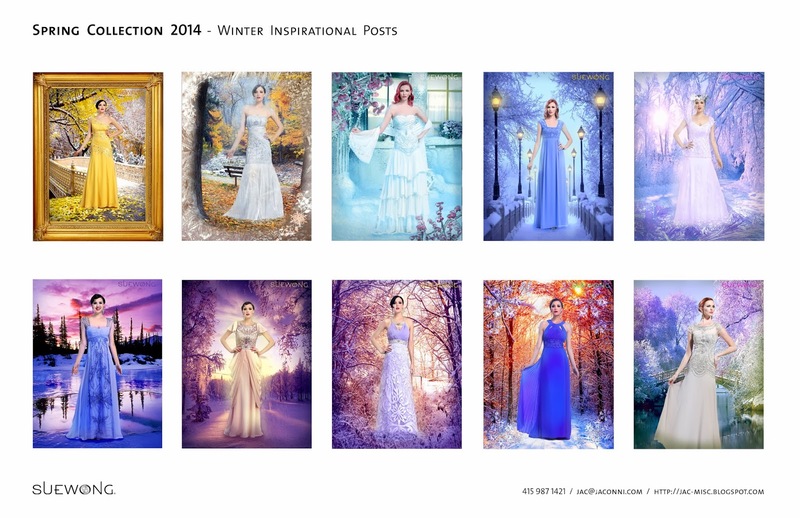 INSPIRATIONAL POSTS: Done for the SW Facebook page, and any other promotional graphics that are used to advertise the gowns and dresses. 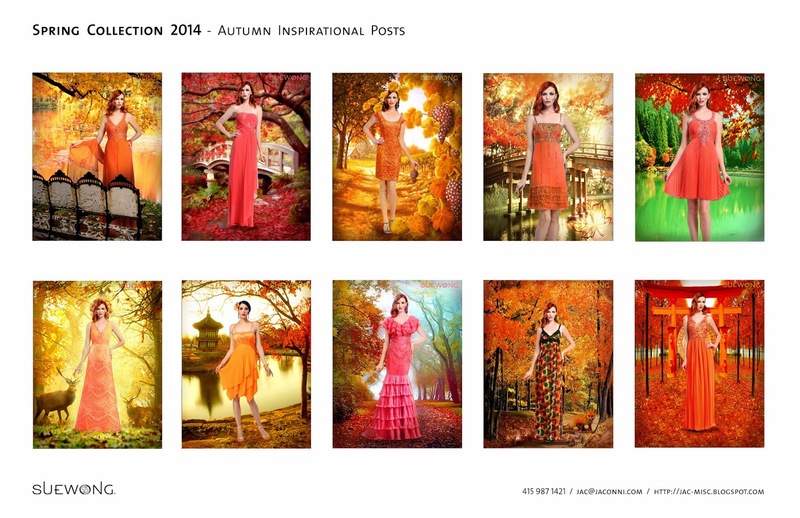 Environments are collages of locations that inspire the dresses to create a fantastical feeling for each. Since seasons are such an integral role in life and fashion, I've combined the two and always keep in mind the time of year. CATALOG COVERS: Covers for the Lookbooks and for the newly launched SW website that I am maintaining and updating with each new event and article supplied by media press and photographers. EVITES: Posted on Facebook and emailed to specific guests and media to invite them to our next corporate event or to greet them for a holiday. 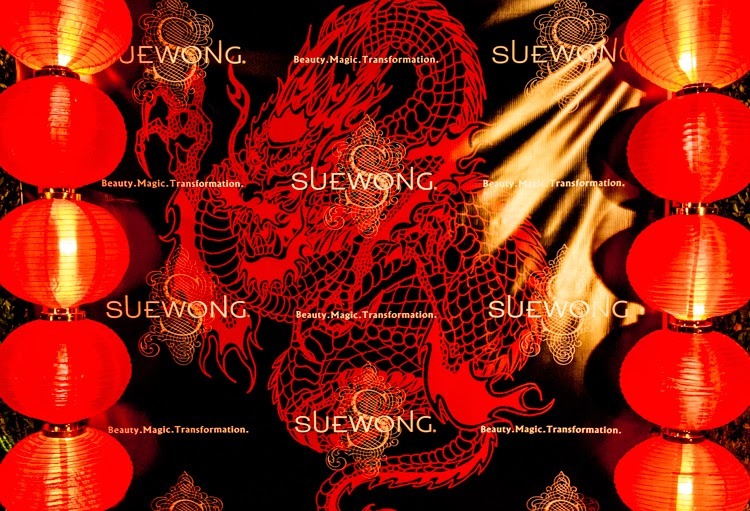 Chinese New Year Red Carpet SW Logo Wallhang: My digital design transformed into a real printed backdrop for event photos. FASHION SKETCHES: Cleaned up inked versions of what SW and her Fashion Assistants sketch out in pencil. 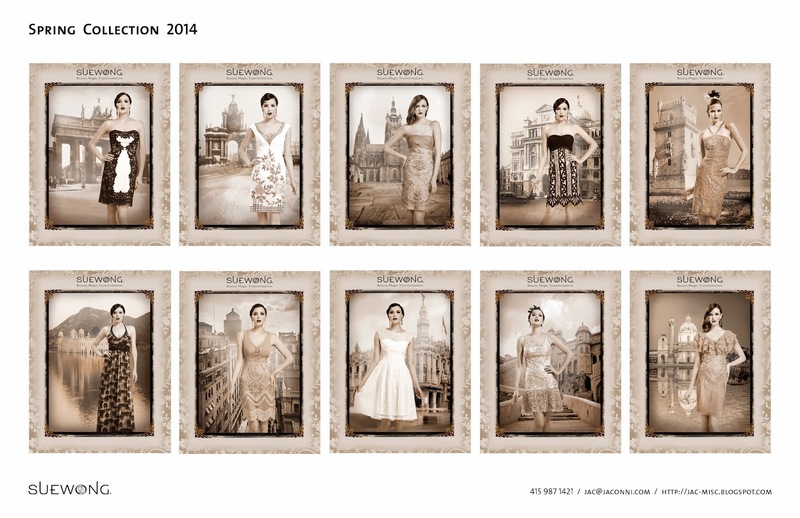 The scans of the motifs are used to inspire the design of the final dresses and gowns. MALIBU HOME: This is my first architectural project! My designs for the remodeling of SW's Malibu home into a more contemporary style. I also helped design the placement of her landing steps, which is not featured in this post, but I await the final product!